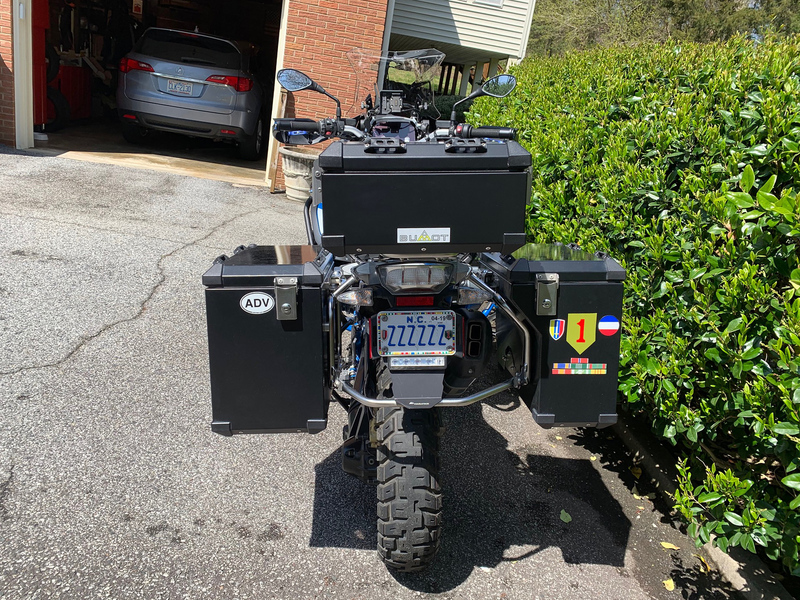 BMW R1200GS Forum : R1200 GS Forums > The Bike > Accessories > Show us your Top Box/Case! Love that Fuji X100! For the smaller top box that you have, does it fit at least 1 full face helmet? Also, was an adapter necessary to mount the top box or did you have to totally replace the rack? Since that photo was taken, they've modified the attachment somewhat and it is rock solid. 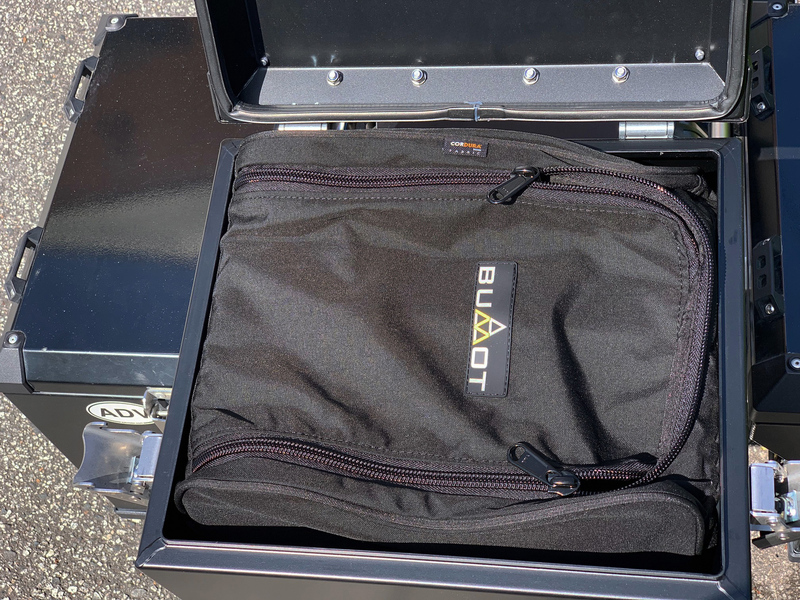 Look at the Pelican case foam insert with the pluck foam. They come in various sizes, are cheap, and can be made to custom fit your cameras/lenses. Regarding drag, 1200cc, what drag?! Actually, where I feel the difference is the nimbleness. I do notice the difference with and without the boxes. 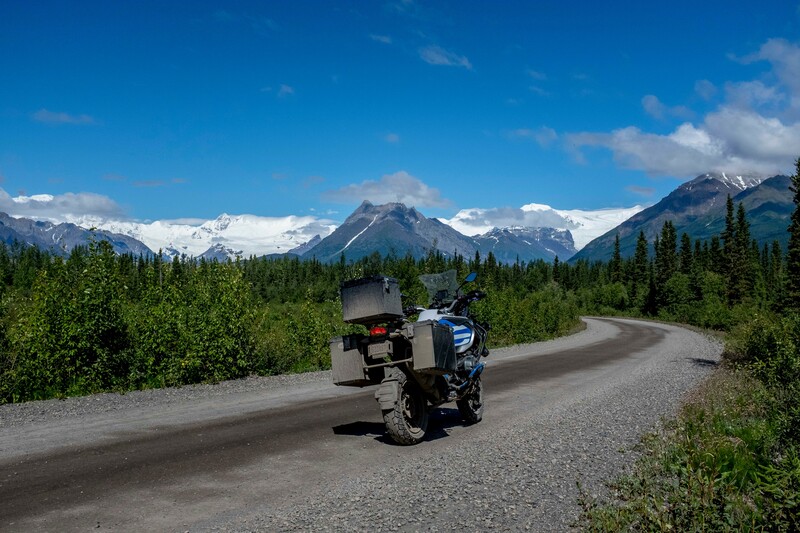 I've been fortunate to do a lot of motorcycle touring. For years, if I had space in panniers, I filled it up with "stuff." Since retirement, though, I've figured out the old travel adage, "Less is more." 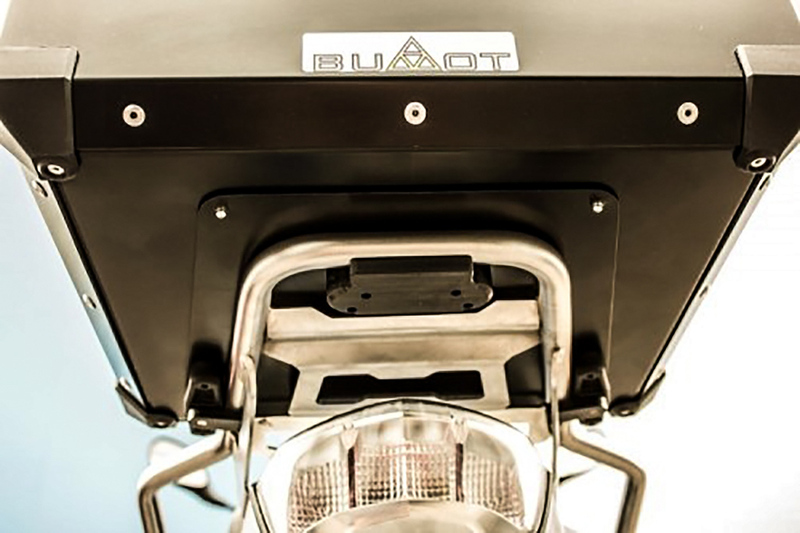 When I got my newest machine, I equipped it with Bumot panniers and top box and I've been impressed with the quality. The top box, though, is 41 liters and, on last summer's trip to The Last Frontier, my camera equipment seemed to get "lost" in there. Of course, I filled in the spaces with more "stuff." I need to take a little putt to make sure everything the equipment doesn't move around too much but, if it does, I think I've a solution for that. Thanks for that my I have a GS so the rack is somewhat different than yours. When I asked about the factory top boxes from the dealer, they said that they will need to replace the rack on my back with the one that the GSA uses.... kind of a waste, if you ask me... currently looking at the sw-motech ones as well as the Givi top boxes so as not to replace the OEM rack that I have. So anyways you have to use a extra plate....ur OEM rack will not direct fit the Givi Boxes. 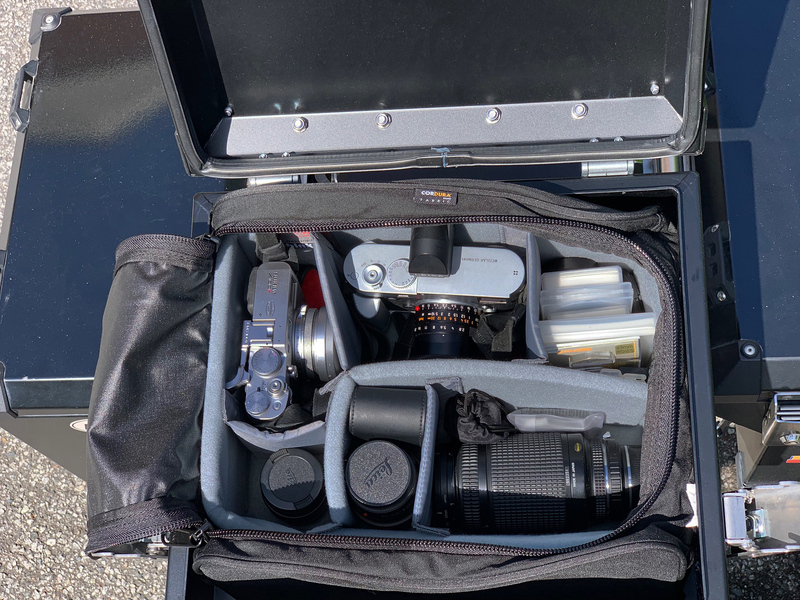 Did the same with my Fuji outfit in my OEM BMW top case. But found that in outback Australia the case got so hot inside, the camera and lens etc was in danger of a melt down. So.. fitted a really thick chunk of foam into the lid and also under the camera bag. Great shock protection and temp protection too! Great minds! I've a piece of convoluted foam I cut to size and used Velcro to install on the top case lid. I can insert in into the liner when I transport the cameras from the bike to a hotel room to stabilize the equipment. 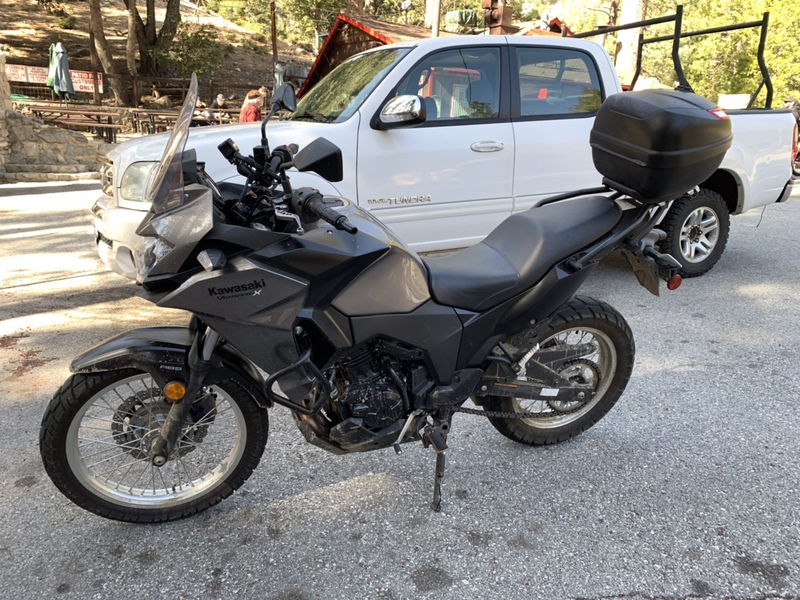 Having come to the GS world from a KLR, I tend to be a bit, shall we say, frugal in my farkles (oh, let's be honest and say I'm a cheapskate). My "top box" is a Plano Molding Company "Sportsman's Box," a big plastic box with a lid that's held in place by a couple snap-handles. Because the lid can be completely removed (yes, it flew off once), I have a couple nylon straps on the inside to keep it in place. The snaps can be locked (with padlocks). It's mounted to a plastic plate and secured to the GS's luggage rack by four bolts and plastic wing-nuts made for folding lawn-mower handles. So, if you know where the fasteners are, the thing can be removed in a minute or two when I arrive at the day's destination. Convenient. Holds a full-face helmet and a six-pack cooler, or various other stuff. And did I mention, cheap?